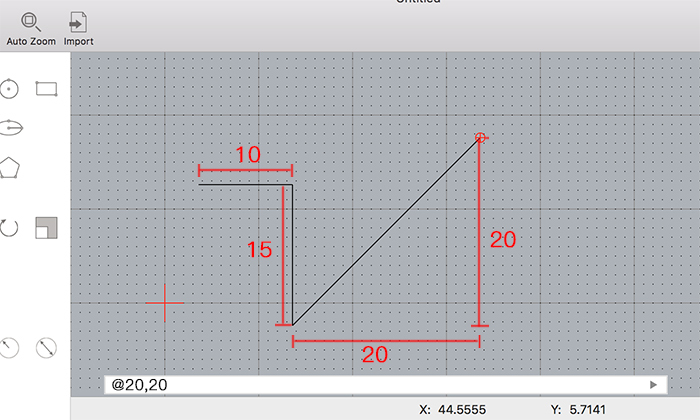 This tool lets you draw a sequence of one or more straight lines. 1. 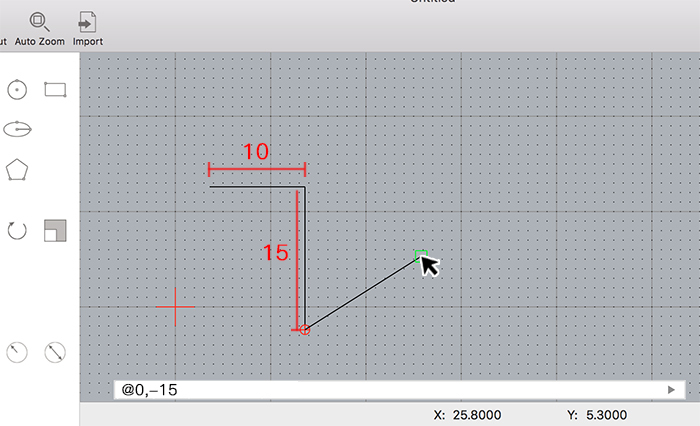 Specify the start point of the first line segment, you can use the mouse or enter a coordinate in the command line. 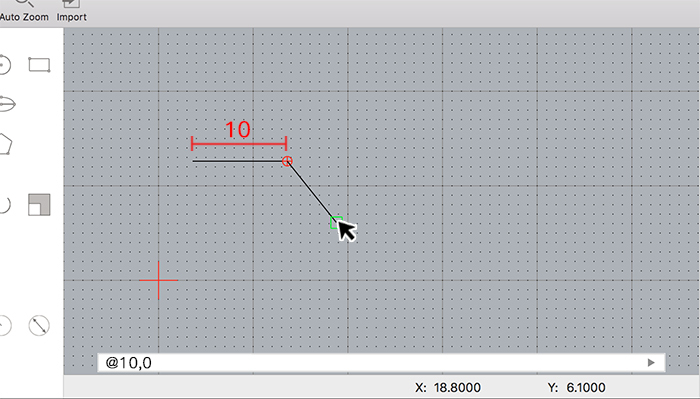 Enter the relative coordinate '@10,0'， then click the enter key. 2. Enter the relative coordinate '@0,-15' in the command line， then click the enter key. If you need to undo a single line segment, you can enter undo in the command line. If you need to close the sequence, you can enter close in the command line. 3. Enter the relative coordinate '@20,20' in the command line， then click the enter key. 4. Click the right mouse button, end drawing the line. You can start to draw a new line. If you click the right mouse button again, stop line tool. Or you double-click the right mouse button directly, stop line tool.